Mila Kunis was spotted wearing this Dolce & Gabbana Love Christmas Rose Skirt & Black Top at the 2018 Breakthrough Prize at NASA in Mountain View, California. 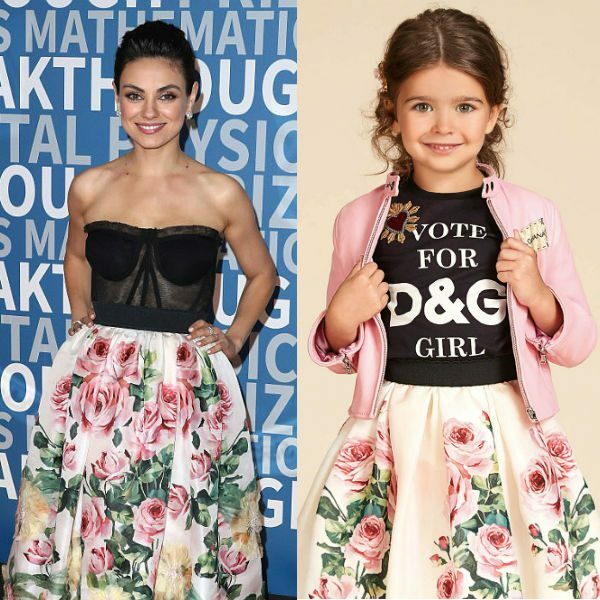 You can shop this D&G Mini Me Love Christmas Look for girls featuring a similar beautiful pink silk organza skirt from Dolce & Gabbana and “Vote for D&G Girl” black T-shirt. Photo Credit: Jesse Grant/Getty Images.